he let the Prince of Wales off the hook! 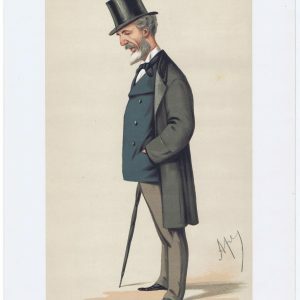 Serjeant William Ballantine Vanity Fair Print . 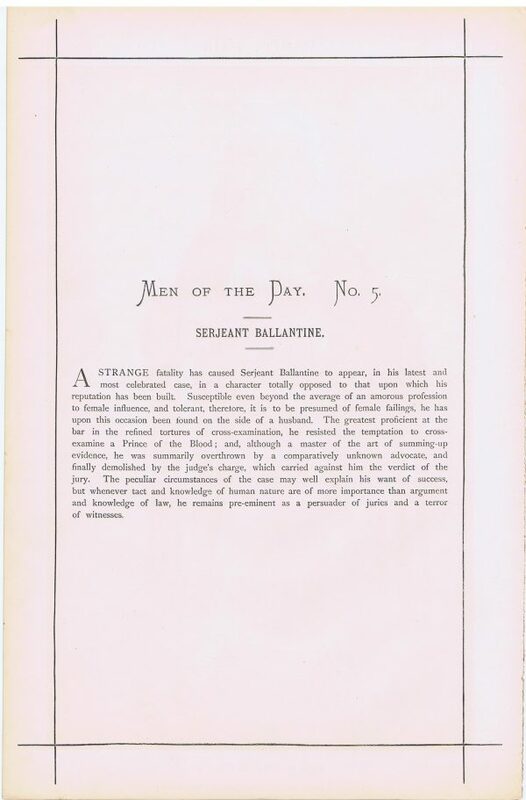 William Ballantine was an English Serjeant-at-law, a legal position defunct since the legal reforms of the 1870s. Born in Howland Street, Tottenham Court Road in Camden, London, the son of a police-magistrate, Ballantine was educated at St Paul’s School, and called to the Bar in 1834. He joined the Criminal Court and travelled the judicial ‘Home Circuit’, which necessitated him attending courts in Hertfordshire, Kent, Surrey, Sussex and Essex. 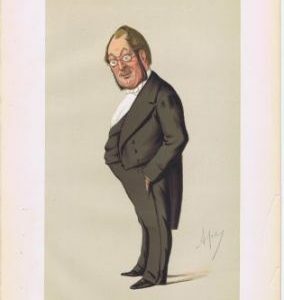 As a young man he had a wide familiarity with dramatic and literary society, meeting many writers, including Charles Dickens, William Makepeace Thackeray and Anthony Trollope, and this background helped to obtain for him a large legal practice, particularly in criminal cases. 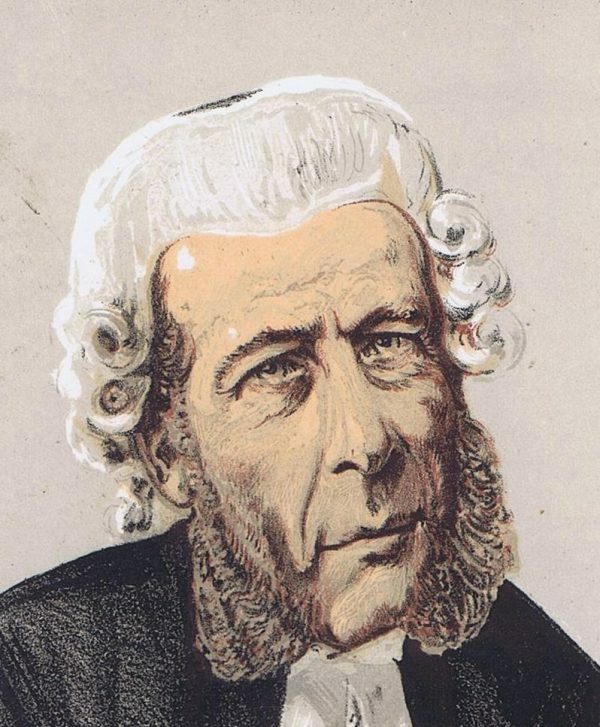 In the late 1840s, Ballantine became known as a formidable cross-examiner, having become involved in several famous cases, where he was able to display these skills. His great rival at during this period was Serjeant Parry (1816–1880). Ballantine became a Serjeant-at-law in 1856, being then entitled to wear the white coif or cap of that rank (see illustration). 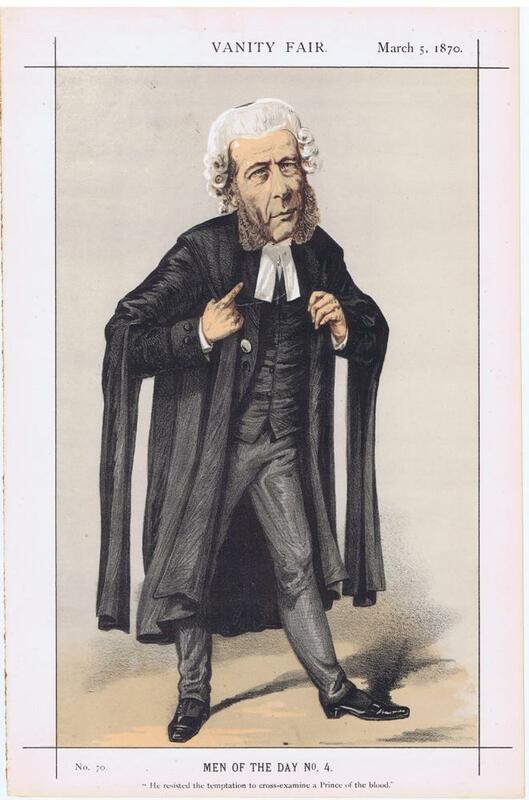 He was one of the last Serjeants in the courts, that title and position being abolished in the judicial reforms of 1873. During the 1860s, he took on a number of high-profile cases most notably the Mordaunt divorce trial. It became clear that because of these revelations that the Prince of Wales would have to be summoned to court to give evidence in the case. 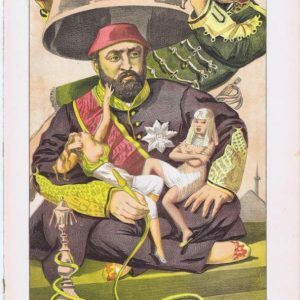 Although he could be subpoenaed, he could not be forced to give evidence; Queen Victoria, his mother, advised him not to attend the court. However, the Prince agreed to attend the court, and to be questioned. After delicate questioning by Lady Mordaunt’s counsel, the Prince denied that ‘any improper familiarity or criminal act’ had taken place between himself and Lady Mordaunt. It was generally believed that by stating this the Prince had perjured himself. Ballantine, as counsel for Lord Mordaunt, the plaintiff, was entitled to cross-examine the Prince of Wales. Instead, in an attempt to save the Prince from any embarrassment, he declared that he had no questions for His Royal Highness, thus saving the Prince’s honour. However, Ballantine lost the case because he had failed to convince the jury that Lady Mordaunt was guilty. Published: 5-Mar-1870 Signed by: Unsigned . Dimensions approximately 23cm x 35cm.